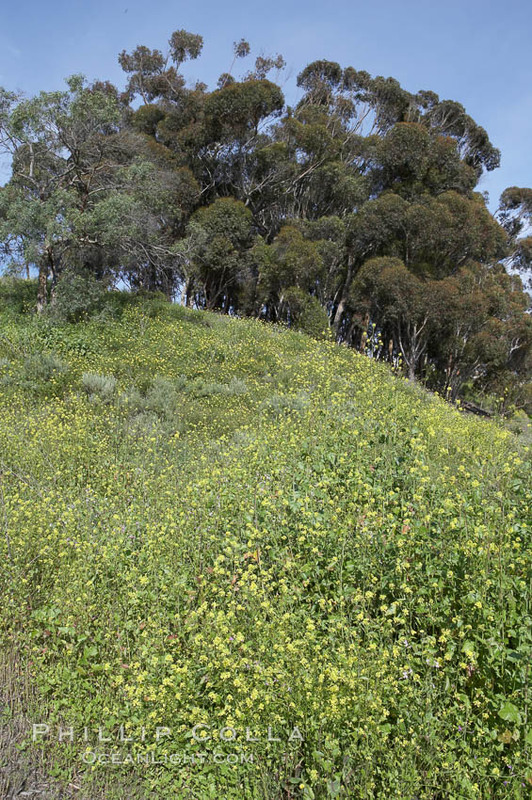 Batiquitos Lagoon, bordering Carlsbad and La Costa in northern San Diego County, is experiencing a fantastic display of spring flowers and plants. The hills bordering the lagoon are as verdant as we can ever recall seeing them, covered with lots of yellow flowers and deep green foliage. Now is a good time to check out any of the lagoons in north county. For more information: Batiquitos Lagoon, San Elijo Lagoon, Aqua Hedionda Lagoon, and San Dieguito Lagoon. 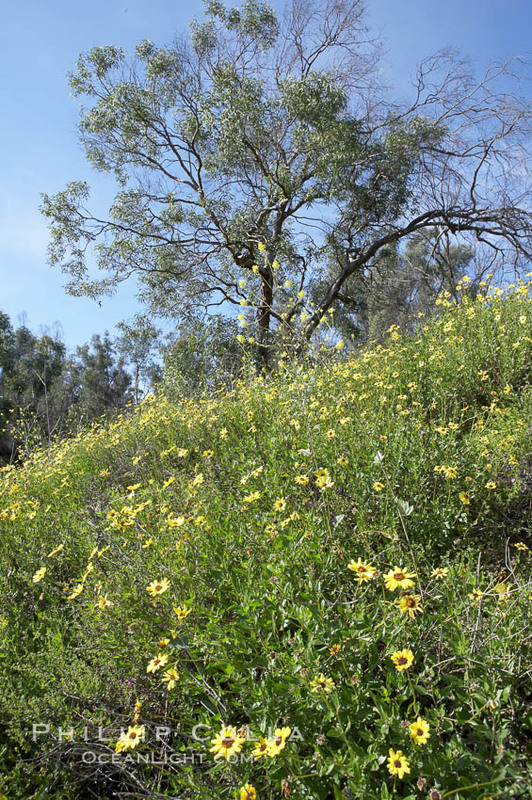 Keywords: Batiquitos lagoon photos, wildflowers, spring, photograph.